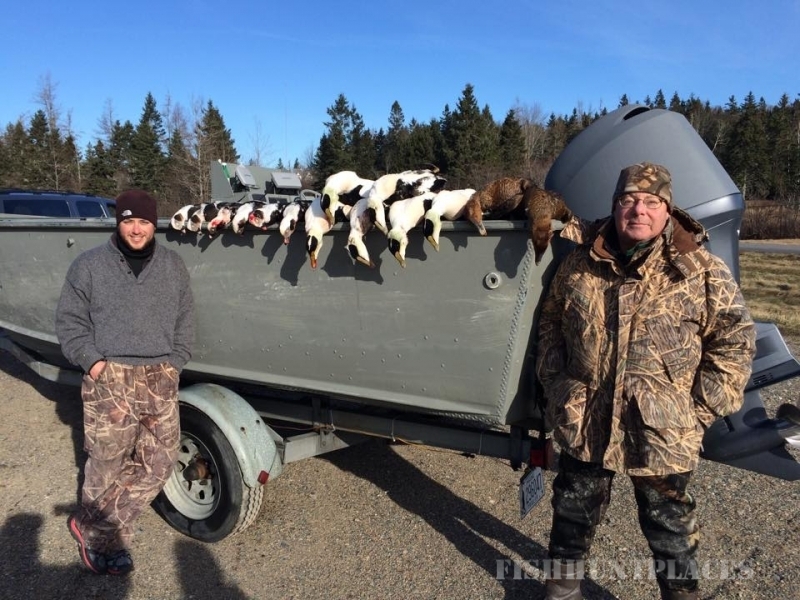 Maine Sea Duck Hunting is considered by many as the pinnacle of all waterfowling. 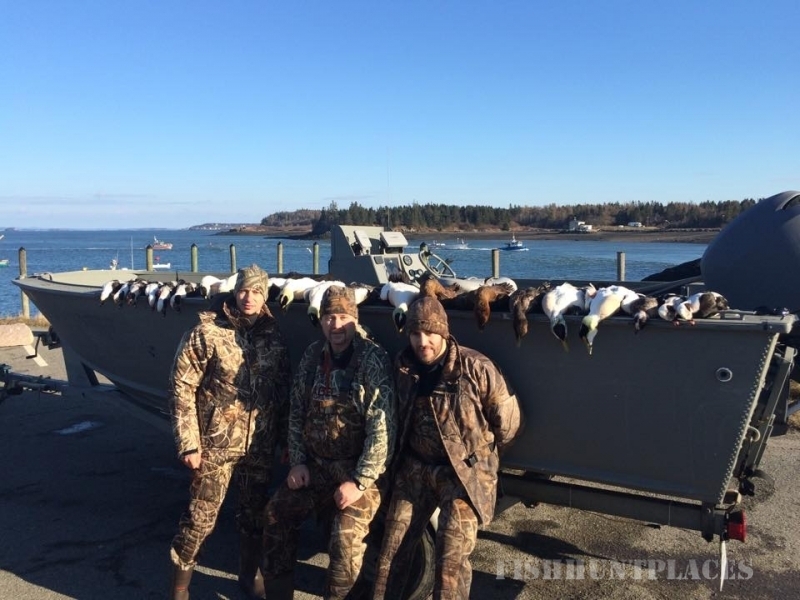 Rising Sun Outfitters offers waterfowlers of all levels the opportunity to experience a truly unique and unforgettable waterfowl hunting adventure along the North Maine coast, for Trophy North Atlantic Common Eider, Borealis Eider, Scoter and Old Squaw, along with the occasional King Eider. Our nutrient rich waters are thriving in marine life along with an endless supply of wild blue mussels, making the North coast of Maine one of the richest feeding grounds in all of New England for sea ducks. During the summer months Eiders breed and rear young on the Arctic Tundra. As autumn approaches the annual fall migration starts with amazing numbers of sea ducks coming to the Maine wintering grounds. Unlike southern New England outfitters, Rising Sun is not dependant on migratory flights of birds. The Maine coast supports a healthy native breeding and nesting Eider population. 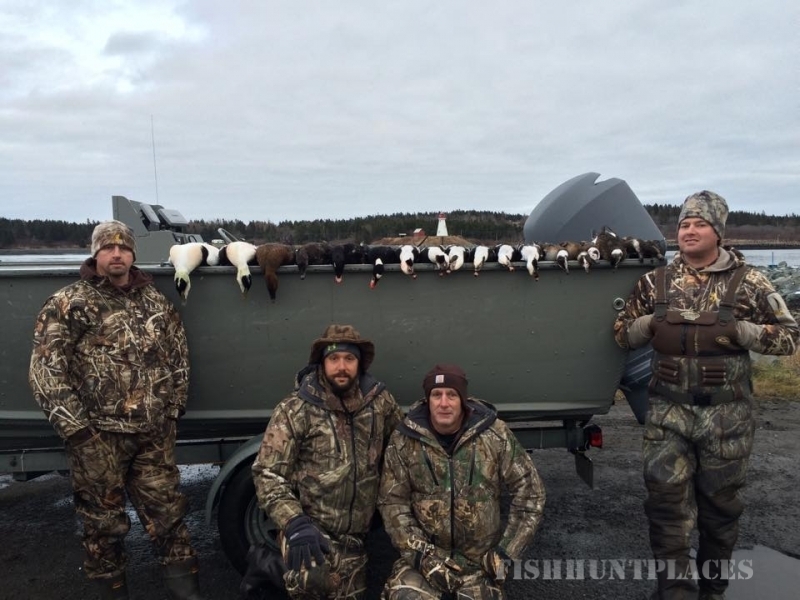 With these combined factors the rewards are many, world class gunning, liberal daily bag limits, and home to the largest North American duck has made Maine renowned for its sea duck hunting. 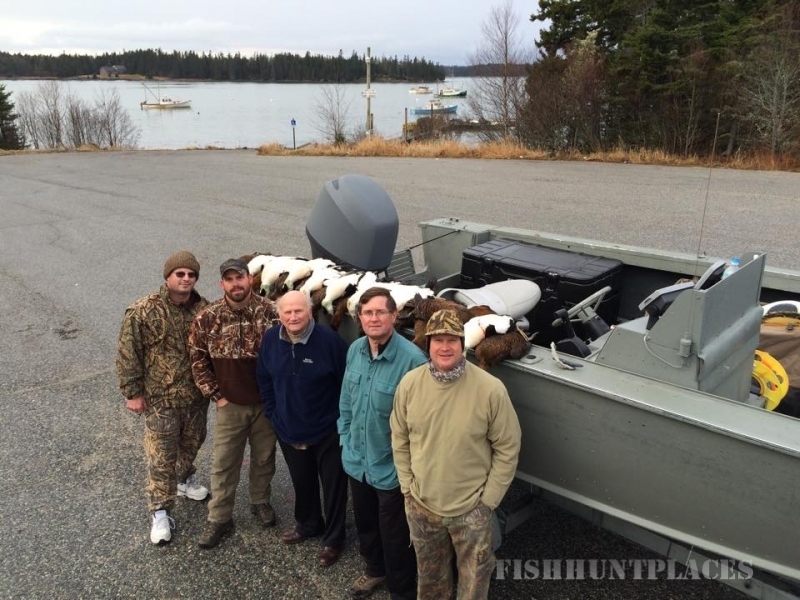 In recent years our layout boat sea-duck hunts have become our most requested hunt, and for good reason. The up close and personal gunning experience this hunt provides is amazing. 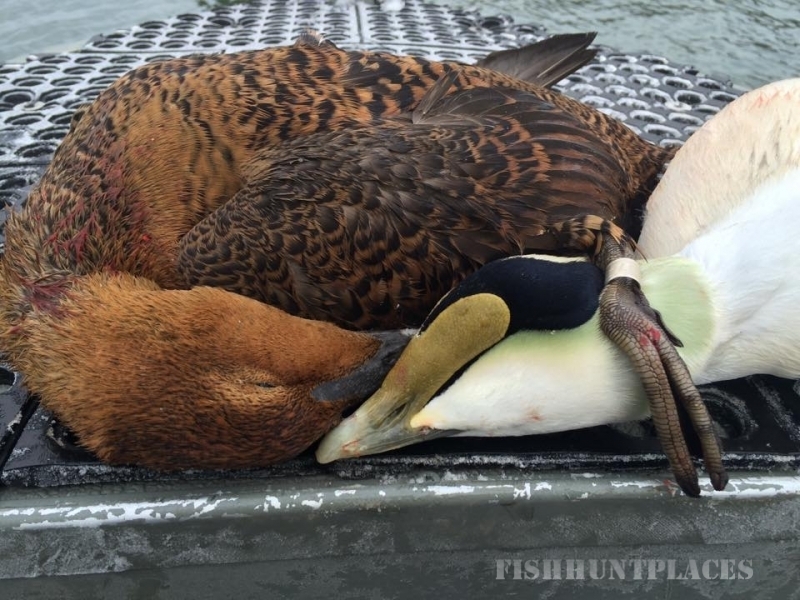 Those that have tried layout boat hunting agree that they had no idea what they were missing. 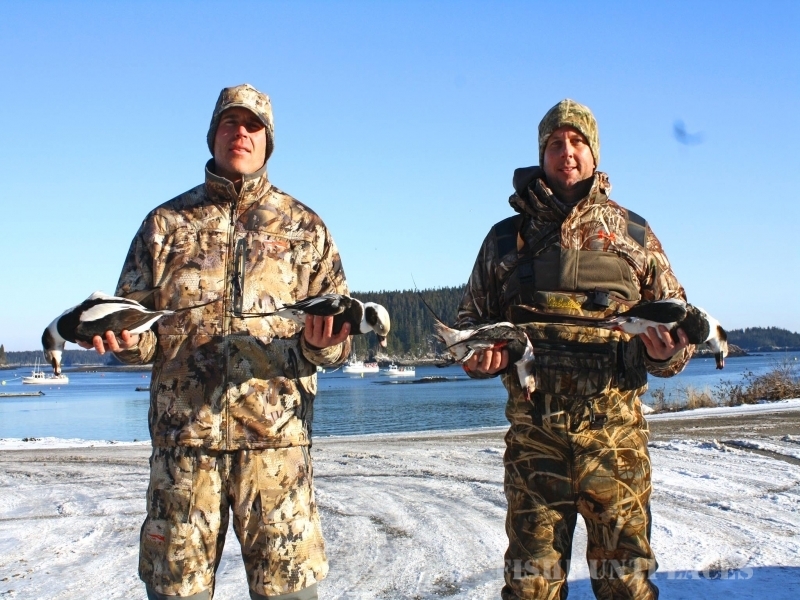 This fast paced adventure should not be missed by duck hunting enthuisiasts.